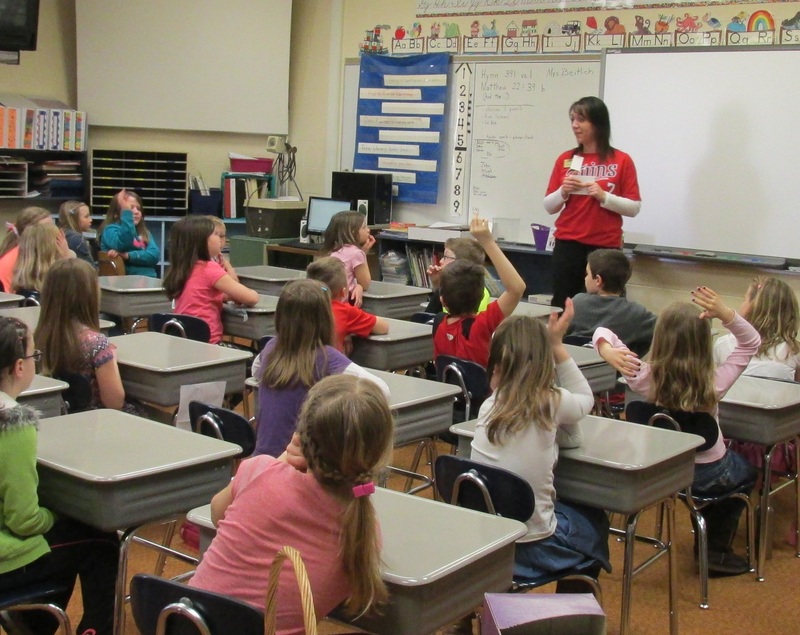 During the week of April 7th – 11th, several Citizens Bank Minnesota employees visited second grade classrooms in the New Ulm and Lakeville area and connected with over 500 students, raising awareness on the importance of saving money at an early age. They also talked about where they can save their money – in a bank, or in their piggy banks at home. To emphasize how banks are a better place to save their money than at home in their piggy banks, the students play a game with laffy taffy. After the class is divided into two, they each take turns to “make a deposit” with their taffy, one group to their piggy bank, the other to the bank. 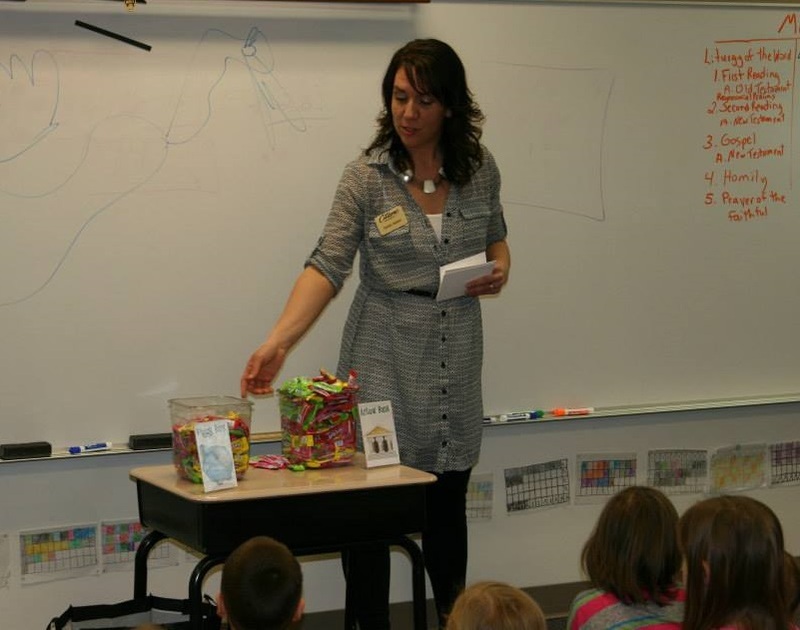 After the first round, the students who deposited their taffy at the bank receive interest in the form of more taffy. After five rounds, the bank students have an overflowing bucket of taffy, while the piggy bank students have only the amount of taffy they started with. This is a good visual and interactive example for students to see the benefits of saving. Following the laffy taffy game, the students talk about different ways they can add to their savings accounts, such as receiving money as a gift, earning money from jobs at home, or their allowance. They also talk about their savings goals, such as buying video games or toys now, or saving for a car or college in the future. The students are always ready to ask questions in regards to saving and the bank! Looking for a few tips on raising money-smart kids? Set the example of a responsible money manager by paying bills on time, being a conscientious spender and an active saver. Children tend to emulate their parents’ personal finance habits. Talk openly about money with your kids. Communicate your values and experiences with money. Encourage them to ask you questions, and be prepared to answer them – even the tough ones. Citizens has a great Savings Force account with a Power Rewards Program. This program is geared towards saving money and getting good grades in school to earn rewards! It also includes receiving fun, educational newsletters and special promotions throughout the year. If you are interested in opening a savings account for your child or grandchild at Citizens, please stop in and talk with one of our Client Service Representatives today!